Umm… yeah, so the problem with this blogging everyday thing might be that my life isn’t really all that interesting. 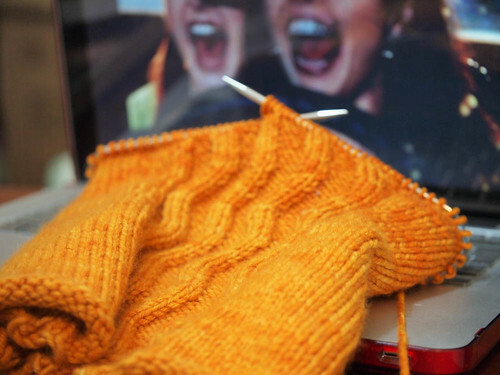 Today I wrote about sweater shaping at home, went to my favourite cafe and wrote some more about sweater shaping fueled by a pumpkin spice latte, made dinner and knit. That’s about it. Here’s a hilarious photo from Rhinebeck to distract you. 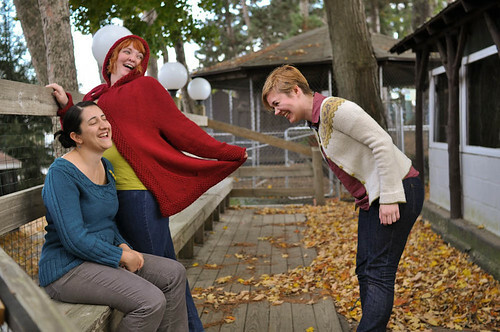 We were trying to get a good photo of the sweaters with both Amanda and I in the same picture for the book cover (with bonus Miriam), but it was tough to take one without at least one of us laughing hysterically.